3 stages of live music. $100 Blunt Rolling Contest & more. 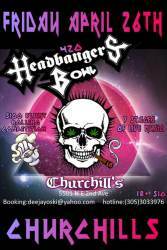 Friday April 26th 2019 at The World Famous Churchill's Pub • 9pm til 3am. 18&up. 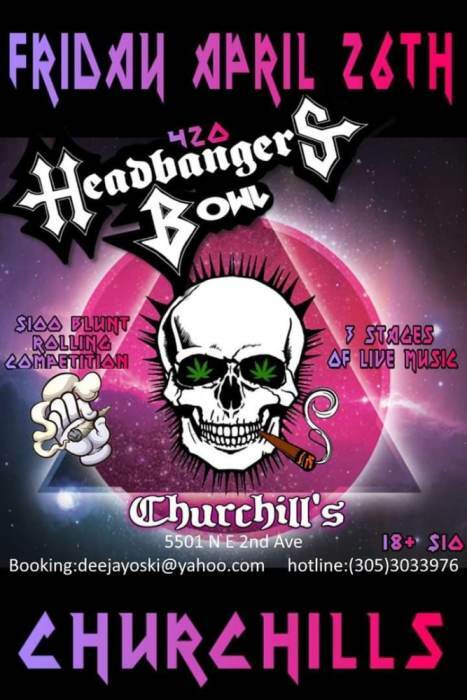 To be a part of this event please email a brief bio, photo of your band, website, your contact info and an mp3 or link to a video of your music to: DeeJayOski@yahoo.com • Hot line 305.303.3976.